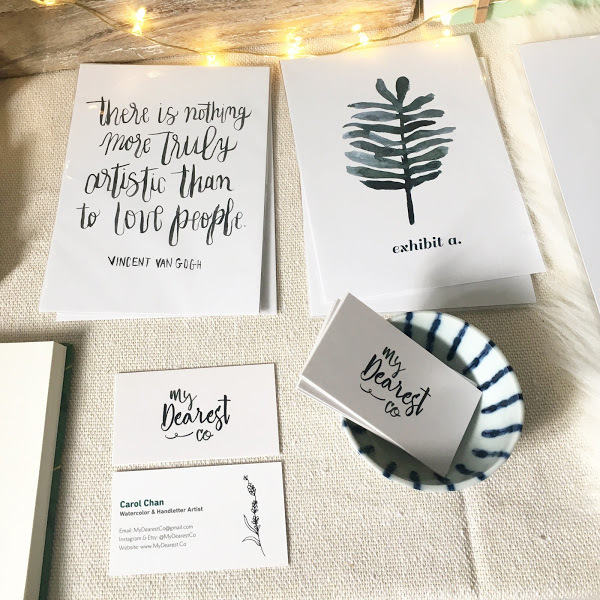 Women In Business | Carol from My Dearest Co. When did you start My Dearest Co and what led you to start it? It has always been a dream of mine to create a brand and business. Ever since I was a kid, I would draw my very own fictional logo on the back of my handmade cards. A year ago, I asked myself the question:“What am I waiting for?” I’m never going to feel 100% ready to jump into it, so let’s just do it and figure it out as I go. That was when I decided to start My Dearest Co.
How long have you been creating with watercolors? I remember always loving arts & crafts as a kid, and even when I was in high school I dabbled into watercoloring. However, I never considered myself a “creative” and so I didn’t pursue it professionally. Fast forward to 4 years ago, I graduated from college and started working in advertising as a brand strategist. I loved it, but I was spending most of my waking hours just working. 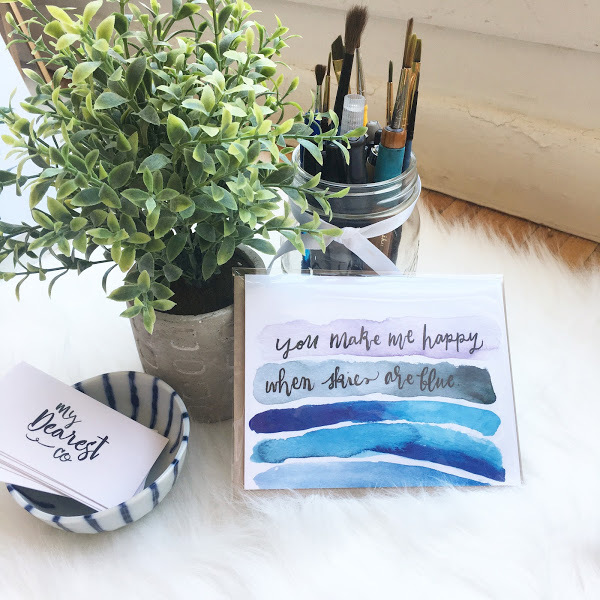 I didn’t want my identity to be defined by only my day job, so that’s when I committed myself to learning watercoloring and calligraphy. How did you learn to do such gorgeous lettering? I am actually self-taught! It goes to show how if you want to learn something, you can always make it happen especially in today’s world where so many great resources are accessible. 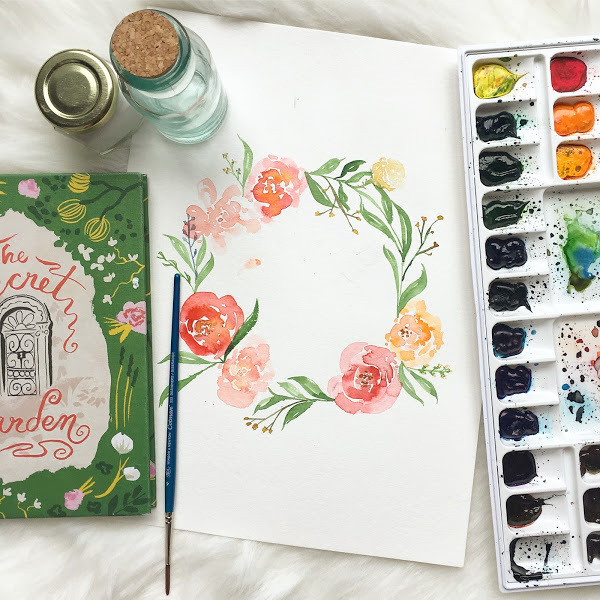 I initially took a SkillShare course – I bought all the supplies and just started practicing. It was so much fun to learn, and it was something to look forward to after work and on weekends. I love being able to share my art with people. I love when someone tells me that a piece spoke to them, or that they’re curious to know where I drew my inspiration from. I think it’s beautiful that art has the ability to connect strangers and transcend language. 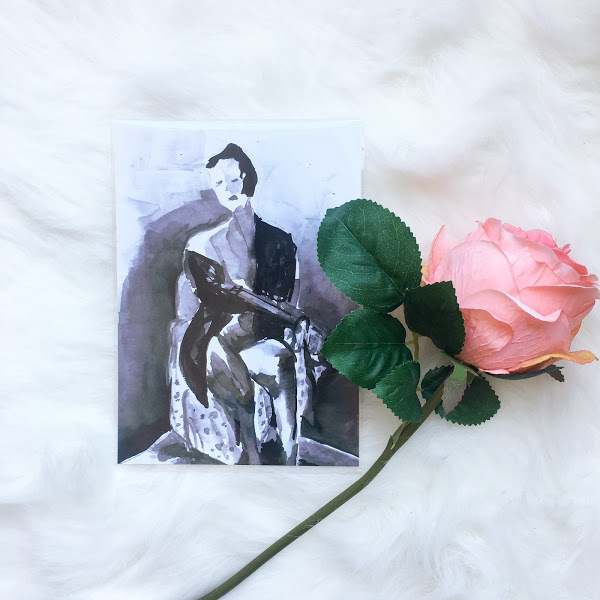 Where did you find the inspiration for your Lady Power illustrations? I’m so glad you ask! Lady power is one of my favorite illustrations. I took a watercoloring class at the National Academy Museum & School last year to pick up the fundamental basics of watercoloring, and part of the curriculum was painting live models. It was amazing to see the human body as an art form and be able to represent it in a way that feels authentic to what I saw. In Lady Power, I tried to capture the bravery, guts and confidence to show up as you are fully, both mentally and physically. As women, we’re encouraged to embrace our intelligence, but are often shunned into feeling insecure about our bodies. I think there’s great power in being comfortable and unashamed of your physical being too. You do a lot of custom projects. Do you have a favorite that you have worked on so far? I’ve done a few! My favorite is also my most recent one. 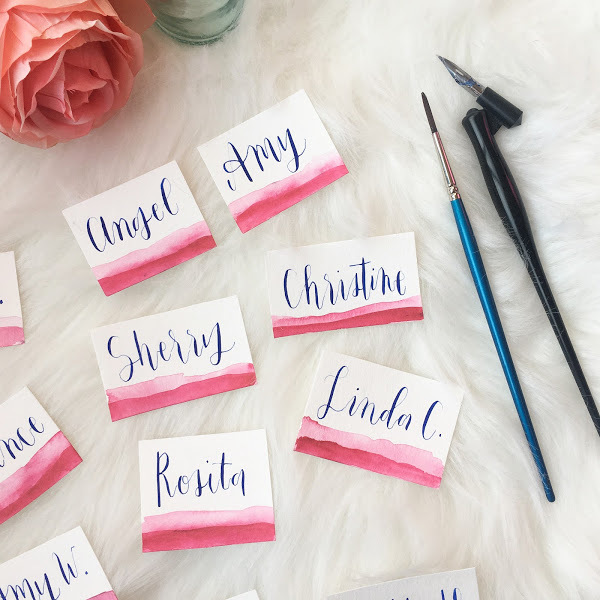 I did watercolor place cards for my sister’s bridal shower. I love that it was a small way to celebrate the people who are celebrating with you. You mainly use Instagram to market for My Dearest Co. What made you choose this social media platform over other platforms? So many reasons. It’s easy to be discovered on Instagram, just by using the right hashtags you are able to tap into communities of people who share the same passion as you. It’s also highly visual – as an artist, this helps give people a taste of what your style feels like. This is it. This is your life. And you only get so many years on Earth to live it. This goes back to the question I posed earlier, “What am I waiting for?” If there’s something you know you want to try, a passion you want to pursue, or a job you know you don’t want – the only thing stopping you from making something your reality is you. Wow, I can’t even imagine! I would love to have partnerships with boutiques and retailers that align with my visual aesthetic. A place like Anthropologie would be a dream. I’m also starting to teach floral watercolor workshops in NYC, but would love to eventually travel the world to teach and empower students.